CONCORD, NC, September 4, 2013 – The tradition of giving continues at ACN, Inc, the world’s largest direct seller of telecommunications, energy and other essential services for residential and small business customers. On Tuesday, August 20, 2013, during the Ronald McDonald House Charities International Convention, ACN was recognized as being a Signature Partner, a recognition reserved only for partners who donate between $500,000 and $1 million annually to the charity. ACN was one of only three companies to receive this recognition. In 2008, ACN named Ronald McDonald House Charities as the company’s global charity – with overall donations today climbing into the millions. The heart of ACN’s giving lies in the company’s International Training Events. During each of these events around the world, ACN collects donations and then matches those donations dollar for dollar, presenting a check to the local chapter of the Ronald McDonald House at the close of the event. In addition, ACN hosts an annual celebrity golf tournament with 100 percent of the proceeds going to the Ronald McDonald House of Charlotte, the hometown of ACN’s World Headquarters. The 2013 tournament raised over $214,000 for the organization. “At ACN, helping children is very close to our hearts, so it’s an honor to work with an organization whose purpose is to provide families with the care and support they need during their darkest hours. It’s a humbling experience,” said ACN Chairman and Co-Founder Robert Stevanovski. The RMH of Charlotte serves the families of children being treated at Levine Children’s Hospital and Hemby Children’s Hospital. Located at 1613 East Morehead Street on land donated by Carolinas Medical Center, the House features approximately 35,000 square feet of living space complete with 28 bedrooms (one family per bedroom/suite), providing more than 10,000 nights for the families. It also has a community kitchen, great room, library, playground and sitting porch. Construction began in early 2010 and the House accepted its first family in May of 2011. The RMH of Charlotte is an independent 501c3 charity managed by a local board of directors which oversee operation of the Home. The cost of building and operating the RMH of Charlotte is covered primarily by individual and corporate donations. Then RMH of Charlotte is funded, constructed and operated by the Charlotte community. The mission of the RMH of Charlotte is to provide the families of children being treated in area medical facilities with a safe, affordable and caring “home away from home”. For more information on RMH of Charlotte, please visit www.rmhofcharlotte.org. CONCORD, NC, May 9, 2013 – Perfect weather after days of rain, and the picturesque course at Trump National made for a beautiful round of golf for the attendees of the 2013 Ronald McDonald House Celebrity Golf Tournament. More than 140 golfers and celebrities from across the US played in the tournament on Monday, May 6, enjoying golf at Trump National Golf Club in Mooresville, NC, and raising much needed funds for the Ronald McDonald House of Charlotte – a home away from home for families with sick children. Celebrity captains including Gerald Henderson of the Charlotte Bobcats, London Fletcher of the Washington Redskins, and Mark Anderson, PGA Tour golfer, joined 28 sold out foursomes and kept the competition lively. The dinner and reception portion of the event included the revealing of a check for the total dollars raised that day – a record-breaking $213,000 – 100% of which goes to the Ronald McDonald House of Charlotte. The check presentation was the best possible way to end a fabulous day. 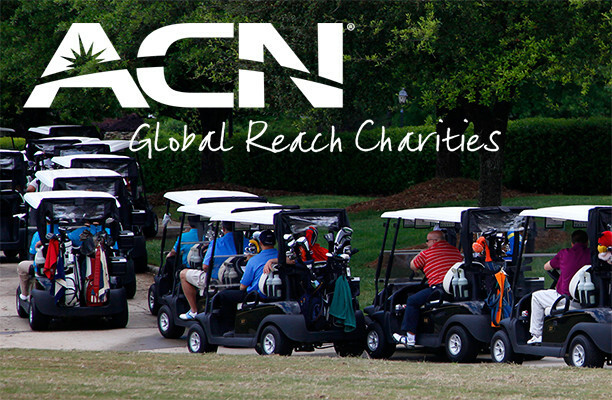 The annual tournament has been made possible by donations to ACN Global Reach Charities. ACN, Inc. is the primary donor to ACN Global Reach Charities and has long been a supporter of the Ronald McDonald House Charities and of the House in Charlotte. 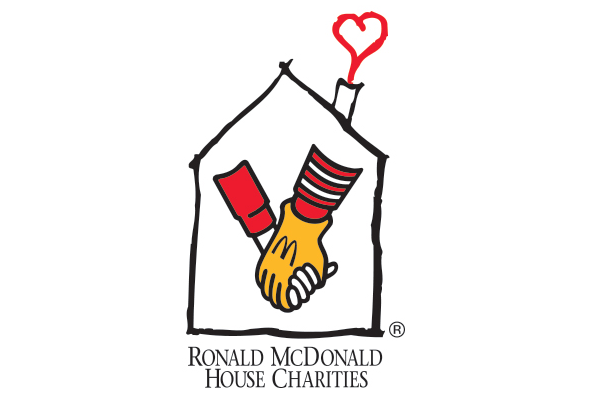 In 2008, the company chose Ronald McDonald Houses as its global charity and began collecting donations for the local Ronald McDonald House chapter at each of its quarterly training events held throughout the world raising millions of dollars for this worthwhile charity. For the participants, sponsors and volunteers who were involved in Monday’s event, it was about more than playing a round with a celebrity captain – it was about making a difference at a local level. About ACN Global Reach Charities, Inc. Founded in 2011, ACN Global Reach Charities is a non-profit organization with the mission of expanding the charitable efforts initiated by ACN, Inc. by providing focused management and increased fundraising efforts. The non-profit continually seeks out new opportunities to work with charitable organizations and is devoted to making improvements on a local level. Its grass-roots efforts have raised awareness in the Charlotte area and surrounding communities. In addition to its many efforts, ACN Global Reach Charities organizes and hosts the RMHC Celebrity Golf Tournament, an event designed to raise money for the Ronald McDonald House of Charlotte. For more information on ACN Global Reach Charities, visit www.acncharity.com.